So last weekend the hubby and I finally watched I Am Legend. It's a movie that I wanted see. I won't give anything away, in case you haven't seen it. But I will say that after seeing the movie Kaiser got lots of attention and affection. 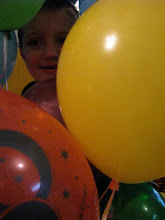 Not the best photo, because my subject didn't want to stay still. Had to see what I was doing. 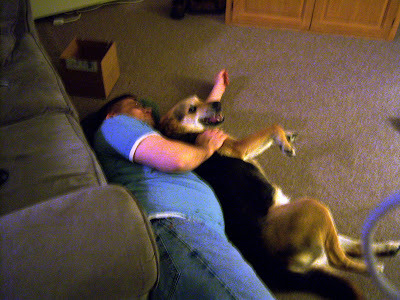 But I liked it because Kaiser seems to be laughing and saying 'Ha I get quality time with Dad! And you don't! '.